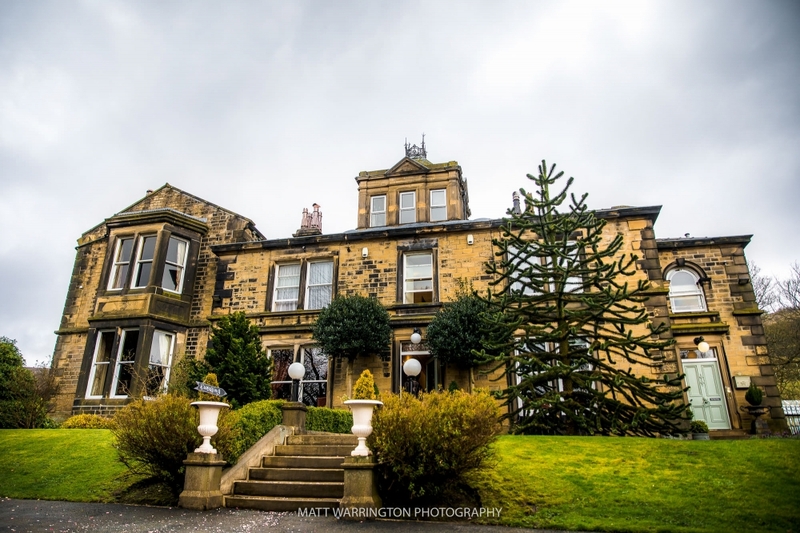 Cally & Lee chose to get married at the amazing Crow Hill Estate, located just on the edge of the National Trust Marsden Moor Estate, this is an exclusive use estate which meant Cally, Lee and all their friends and family had the whole place to themselves all weekend. The main country house is where Cally & her bridesmaids chose to get ready, the former mill owners house is huge, with seven bedrooms, and being hired out all weekend meant that they got to use the house the night before. I arrived to an amazing atmosphere, zero nerves just excitement, Cally surrounded by friends and family. Lee was staying in the Lodge just next door with his best man, Ushers and friends and having heard stories of a very late night the night before I was surprised to find everyone up and getting ready. Being early April the weather was testing in the morning, rain was forecast throughout the day, but just after the ceremony the clouds disappeared and we had amazing sunshine, perfect weather for the beautiful grounds at Crow Hill and the views across National Park. 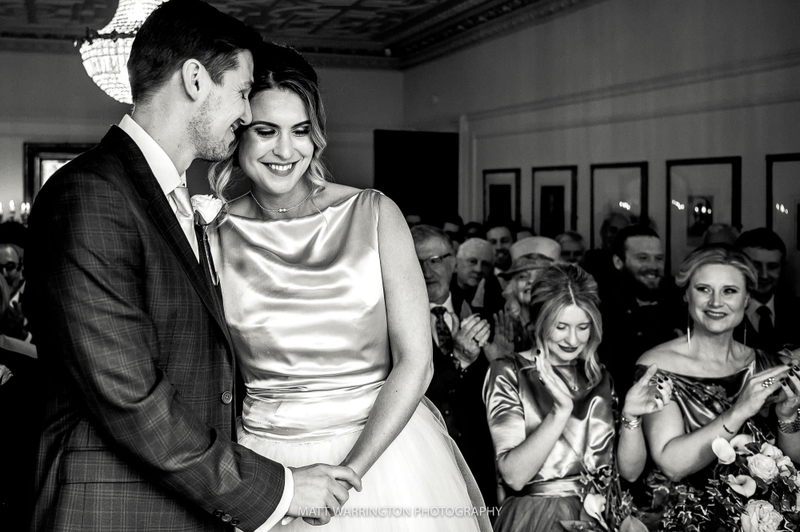 I met Cally & Lee in Chester and once we got chatting it was evident this wasn’t just a wedding, this was a celebration with all their friends and family. From start to finish Cally & Lee’s day was full of laughter, we were treated to 3 fantastic speeches which started with Cally’s amazingly talented mum, who actually made Cally’s and all the bridesmaids dresses as well as her own suit. After Lee’s and Paul’s speech I took Cally and Lee for some very informal and relaxed couple’s pictures. I always say to couples use this time as 10 minutes on your wedding to be alone and be yourselves, they took full advantage of this and as with the rest of day used it to make each other laugh. I had such a fantastic day being Cally & Lee’s Crow Hill Estate Wedding Photographer, a huge thank you to Melissa for second shooting for me on the day and being a huge help as always. 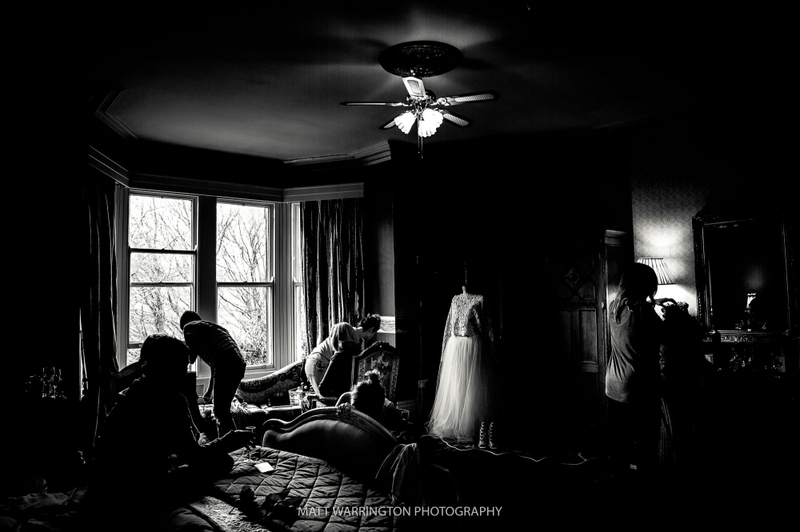 Here are just a few of my favourite images from Cally & Lee’s Crow Hill Estate Wedding. If you are looking for your Crow Hill Estate wedding photography shot in a relaxed, natural way please GET IN TOUCH to discuss your day more. Matt I love these! It looks like such a fun wedding!